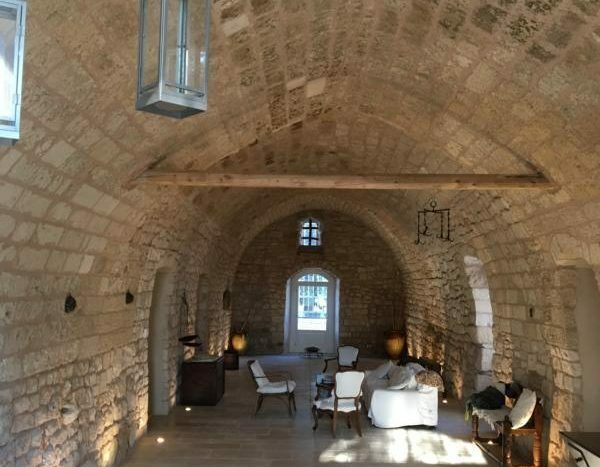 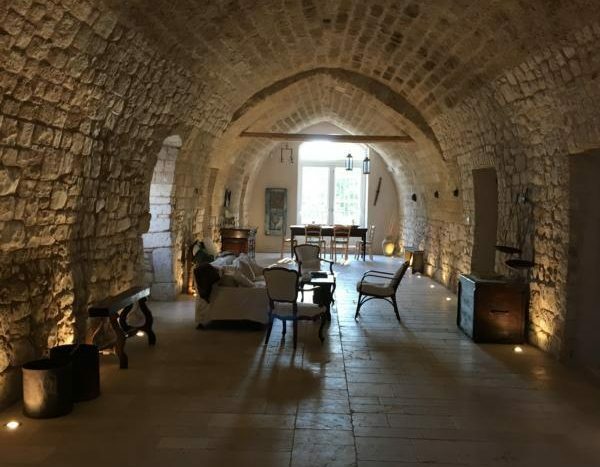 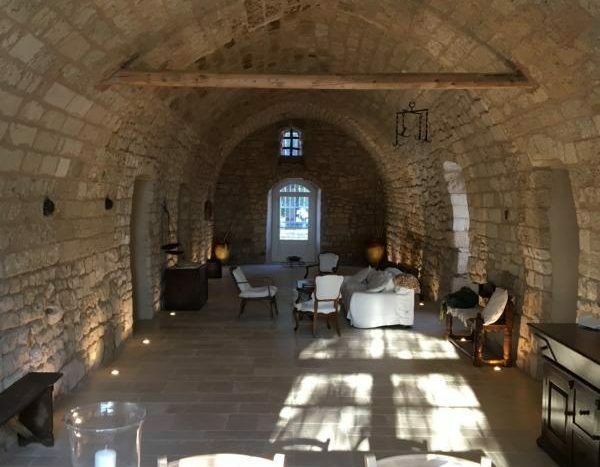 Its magical atmosphere, far removed from the hustle and bustle of everyday life, transforms this masseria in Apulia into the perfect holiday destination for those in search of a quiet and relaxed holiday. 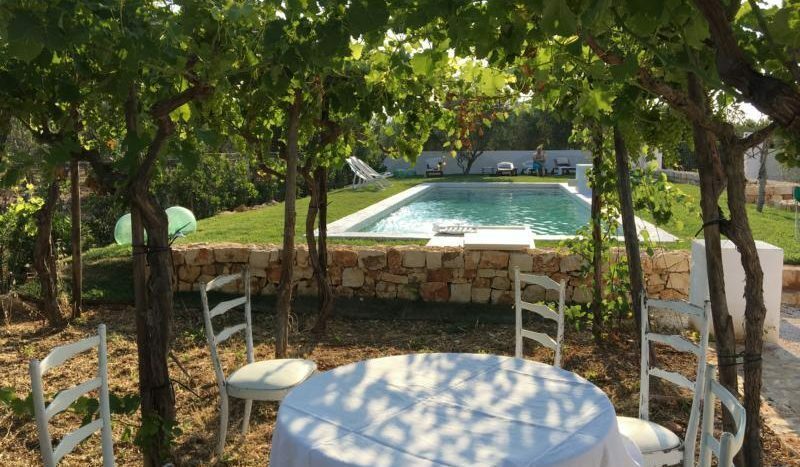 Enjoy a holiday in Apulia. 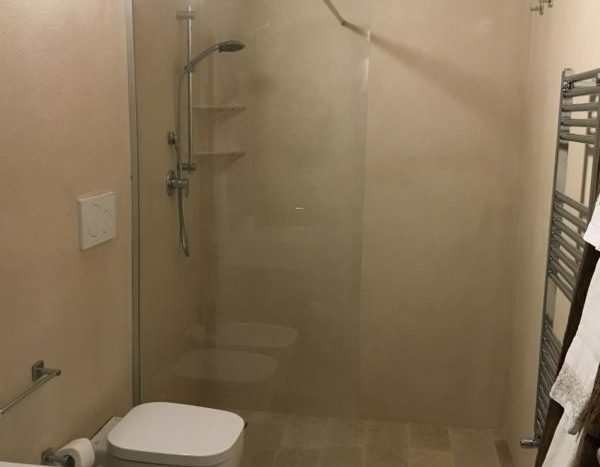 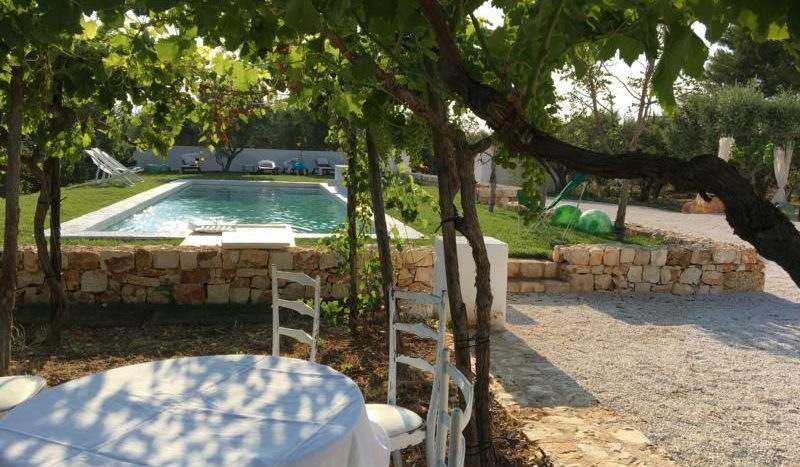 This splendid family villa with pool in the Apulia region was lovingly and tastefully refurbished not long ago. 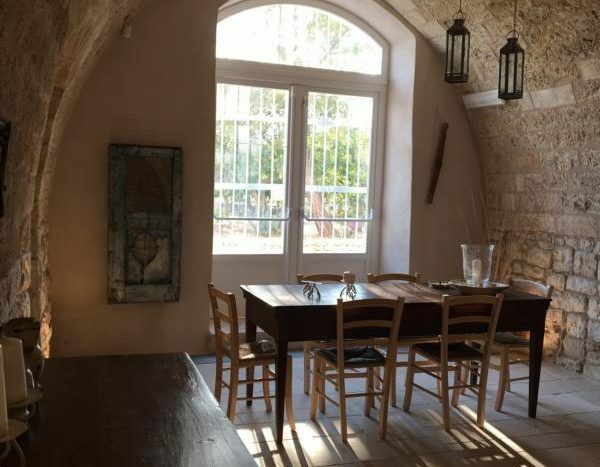 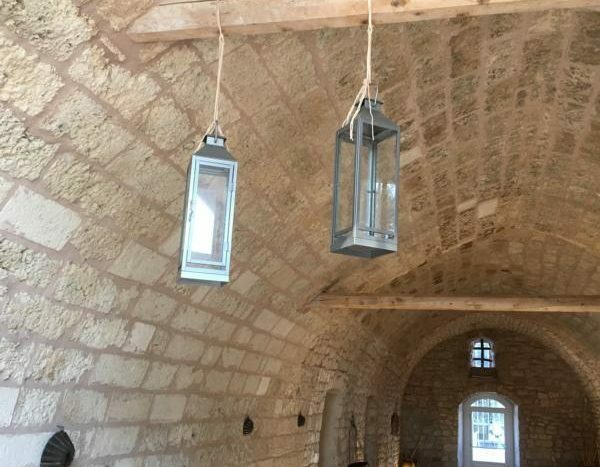 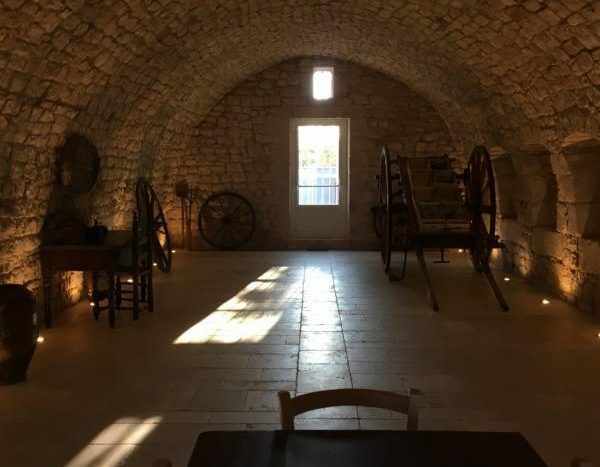 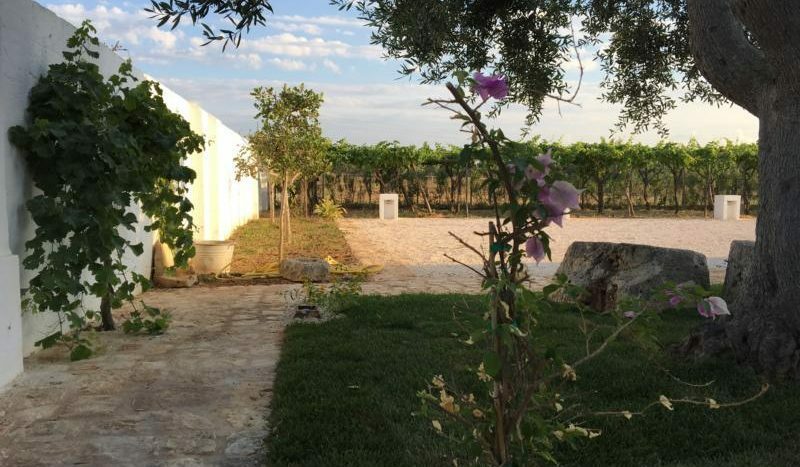 Masseria Le Cerase accommodates up to ten guests and comprises five bedrooms, three bathrooms, a large kitchen, a sizeable pool and extensive grounds. 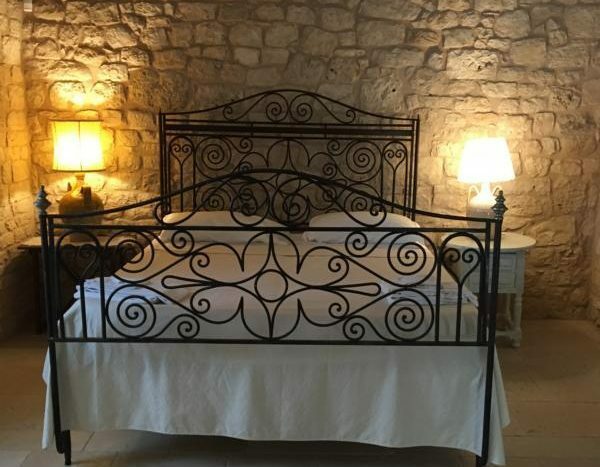 The bedroom walls are clad in natural stone. 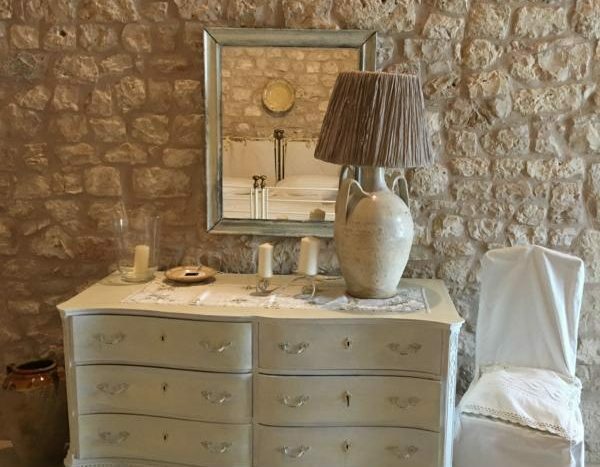 The entire villa is furnished with high-quality pieces that mirror the Apulian way of life. 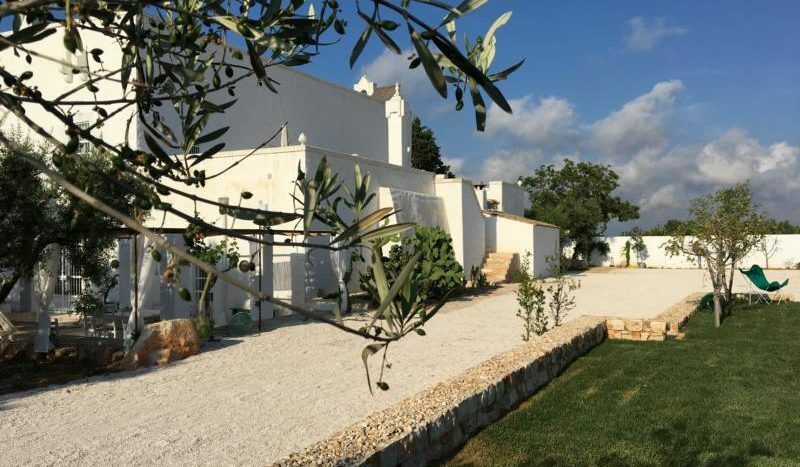 Warm, earthy shades and white furniture set the tone for this charming holiday villa in Apulia. 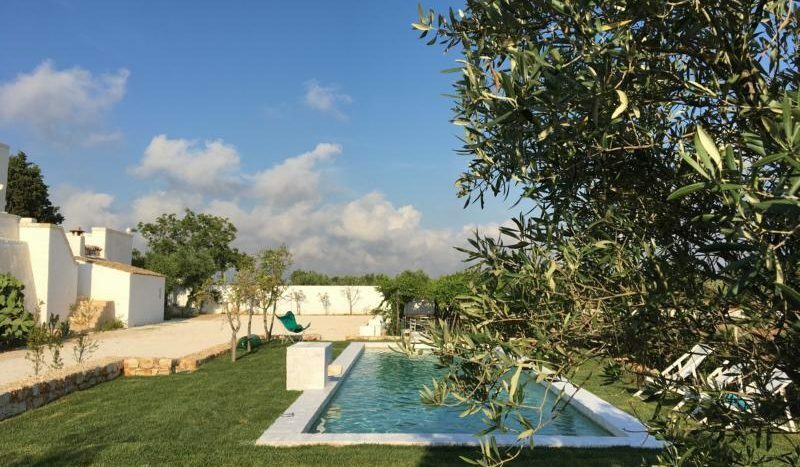 The Masseria Le Cerase is located in an idyllic, quiet location surrounded by typically Apulian nature with its ancient groves of gnarly olive trees. 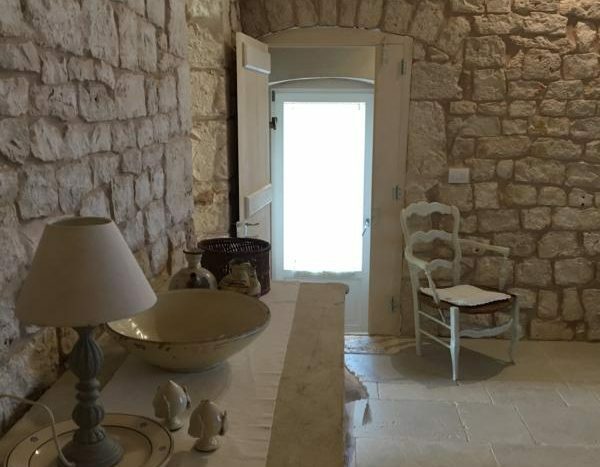 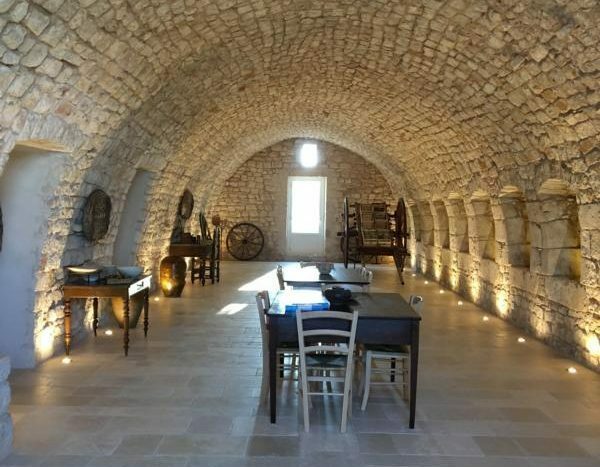 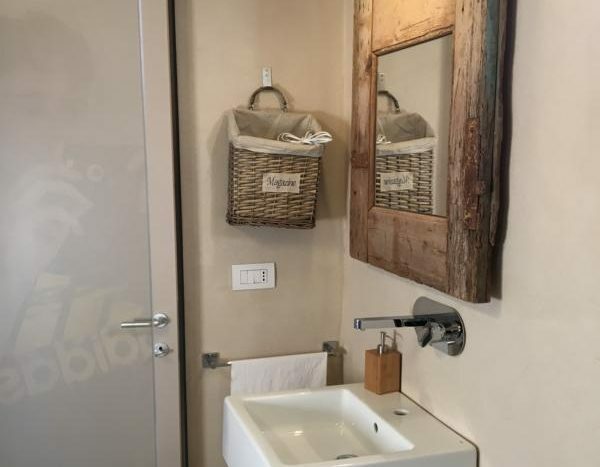 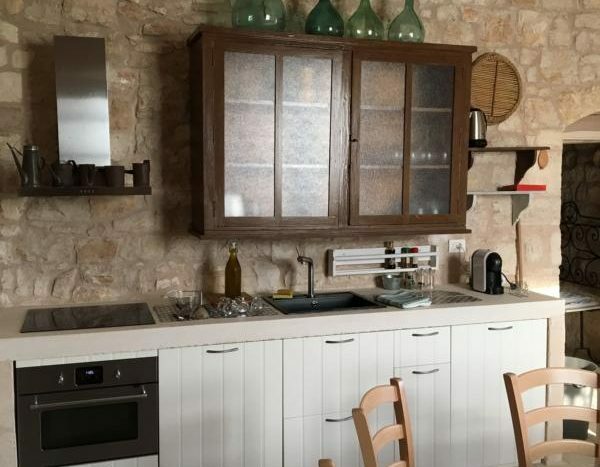 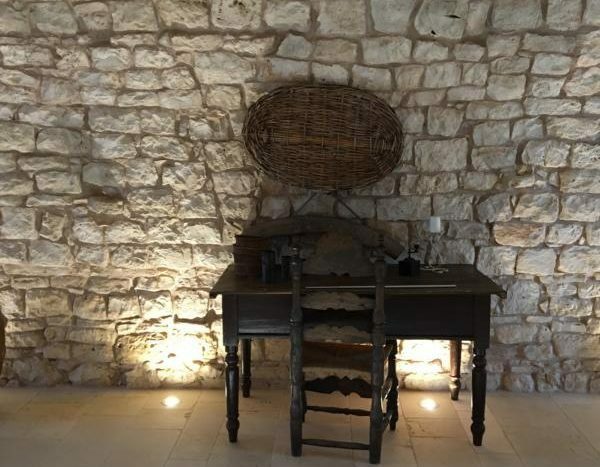 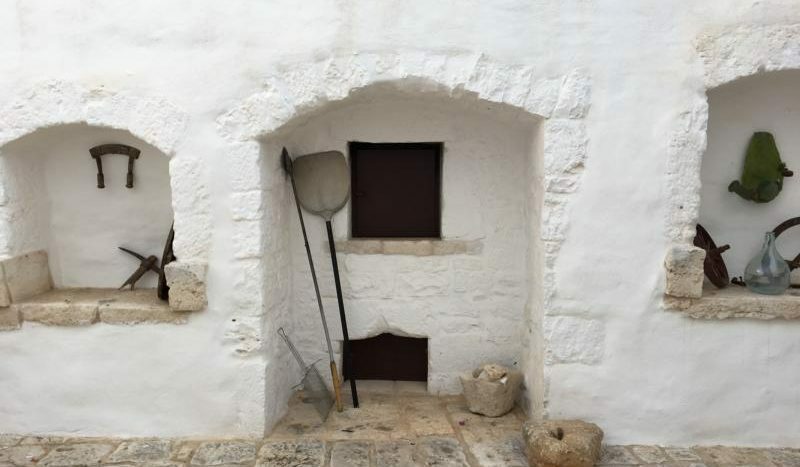 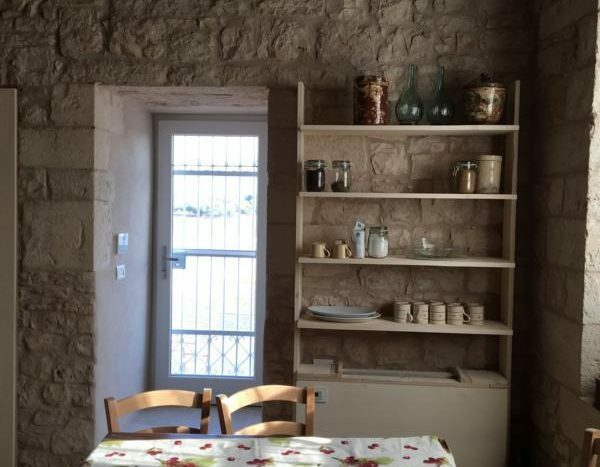 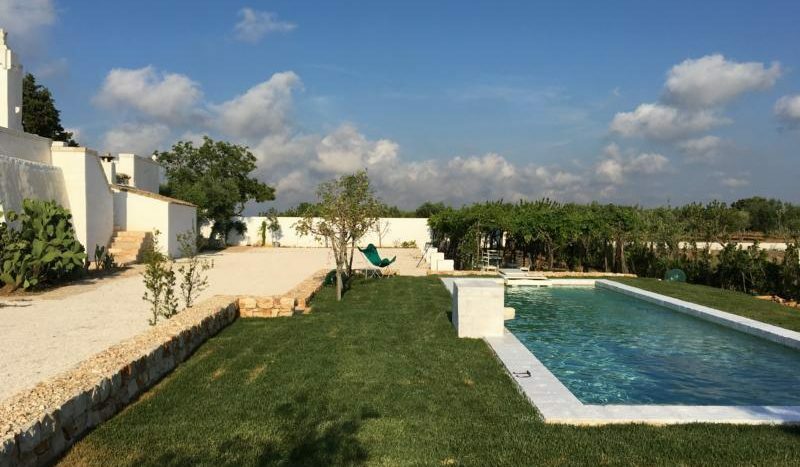 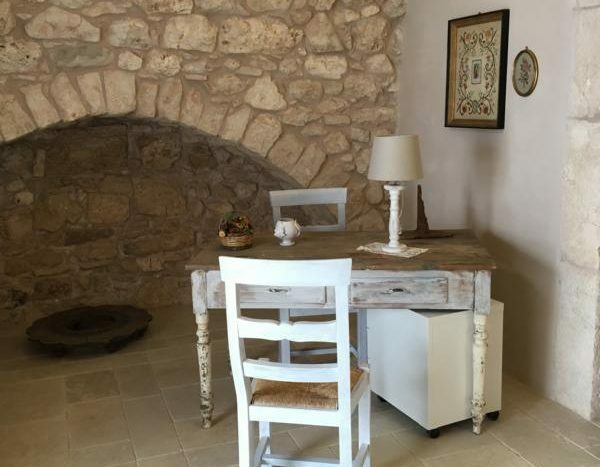 This holiday villa is strategically located with Alberobello, the capital of the trulli, only a 20-minute drive away. 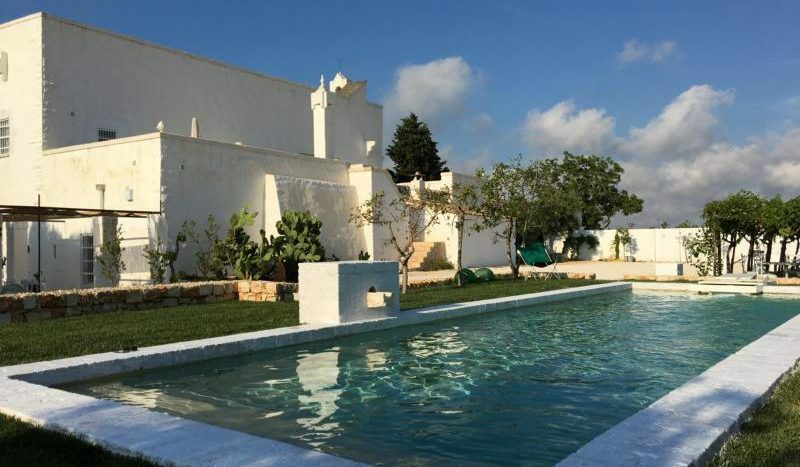 Moreover, the delightful villages of Conversano, Locorotondo and Monopoli are all within a 30-minute radius. 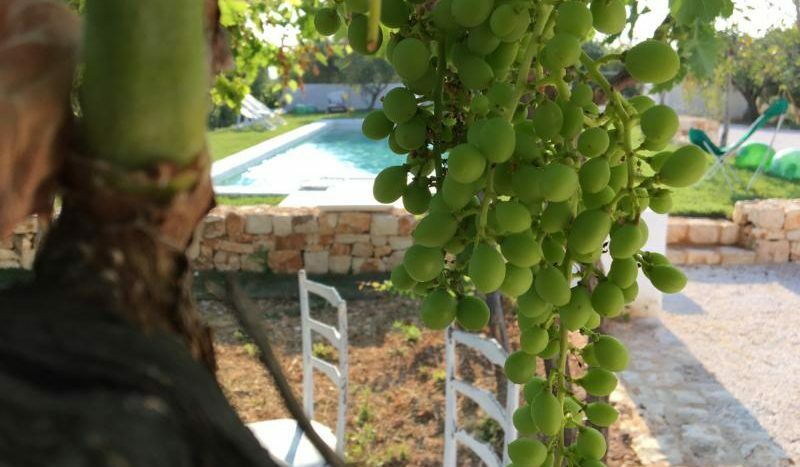 Don’t forget to visit the beautiful beaches on the Adriatic coast.